How do we build on communities of dissent, asks veteran Black activist A. Sivanandan in a short film released this week by Sage Publications alongside a collection of his key writings in Race & Class. 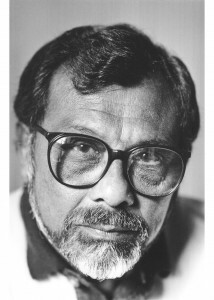 A. Sivanandan, IRR Director Emeritus, is one of the UK’s key thinkers on racism, imperialism, black identity and political struggle. His grounded theory has proved important both in the academy and the community for over four decades. Due to ill-health, Sivanandan could not be present at the IRR’s recent conference ‘Catching History on the Wing’. The short film – a passionate plea to build communities of dissent around the social injustices caused by neoliberalism – is based on his recorded postscript to that conference. Also available here is a selection of some of his key articles for the journal Race & Class, the journal of which he was founder editor in 1974. In ‘Race and resistance: the IRR story’ he details the transformation of the IRR in 1972 which enabled it to carve out a unique role for itself and in the process of a protracted struggle with the governing board transform the nature of ‘race relations’ study itself. ‘The liberation of the black intellectual’ (1974) examines what black means in terms of identity, struggle and intellectual engagement for the generation trying to decolonise the mind. ‘From resistance to rebellion: Asian and Afro-Caribbean struggles in Britain’ (1982) is a landmark history of black protest from 1940 in the UK which has become the starting point for black historiography. But racism, Sivanandan, maintains does not stay still, but changes its shape, size, contours, purpose, function with changes in the system. His ‘Race, terror and civil society’ (2006) examines the interconnections between the new racisms thrown up by globalisation and modern empire. In ‘The market state vs the good society’ (2013) he reveals the depth of the challenge to the new political culture and calls on us to build new social movements which oppose market morality. Many thanks to Frank Huang of Dida Media for filming the event for Sage Publications.